Wall shelving with a clean minimal look. Pantry storage with pull out shelving. Closet organizer from Home Depot for a walk in closet. Bath storage - minimal and clean look. After the long dark months of winter, Winnipeggers are ready for Spring! For many of us this means cleaning and decluttering our homes. Whether spring cleaning our homes or getting our homes ready for sale, here are some great tips! We all have a tendency to pile belongings in our closets and storage areas. We have every intention of sorting through things when time permits. 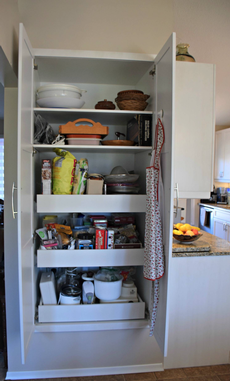 Junk drawers and utility closets become more cluttered as time goes by. 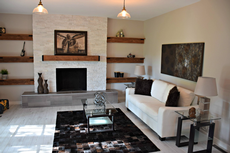 Spring cleaning is the perfect time to go through these neglected areas and turn clutter into well-organized space. It amazing how big a well-organized storage space can appear when we are done! Neatly sort remaining items into cleaned storage spaces. Now that you’ve gotten your closets cleaned out, make them look great! Invest in some inexpensive closet organizers. Closet organizers can come in wire grid, baskets, or MDF shelving. They are easily installed by a home owner or handyman in less than a day. Closet organizers allow you to place more into the same space, thus giving the appearance of an expanded storage capacity in the same closet! They also help you stay organized over time. 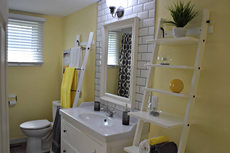 Kitchens and Bathrooms are often overlooked storage spaces that have a huge impact. Go through kitchen cabinets, drawers, bathroom vanities, linen closets with the same rules – our 6 step process. We have a tendency to acquire multiples of kitchen items. Often we replace items that are getting old, but we do not throw away the old item we have replaced. We then have multiples. This is a good time to remove old multiple items and just keep the new replacements. Broken or chipped glassware or stemware can also be disposed. Maybe this is the excuse you need for a new set of dishes or glassware! Whether this is your spare bedroom or a utility room in the basement, it needs to be sorted and cleaned. If your spare bedroom has become your storage space, clean out all the stuff and use this room to set up a beautiful guest bedroom or a Home Office. Tip: With so many people working from home, a spacious Home Office has become a huge selling feature. However, if you only have one or two bedrooms, a third bedroom is very appealing! Make sure your furnace, hot water tank and electrical panel are accessible. If there was ever an emergency, you want to ensure servicemen can access the areas without digging through your storage space. These areas also need de-cluttering. Once you clear out the excess, invest in some rubber storage bins for sporting goods, tools, things you need to have on hand. Invest in some bike hooks to stow bicycles neatly off walls, and use storage space below the bikes for the bins. You’ve suddenly doubled your storage capacity! Put away the snow blower in the shed and get out the lawn mower and rake. It’s a great idea to do the annual maintenance checks on items at this time or schedule them for the annual maintenance pre-season. You have put in a lot work and you now have a much more appealing home! Pick a date for your sale and advertise well in advance! There are facebook sites for Winnipeg Garage sales and Kijiji.ca and buy and sell are all great ways to advertise! Once you are done with the garage sale – call a charitable donation company to pick up the balance of your items. Anything that is left behind can usually be donated in person or disposed of by a junk removal company. You’re now ready for Summer!